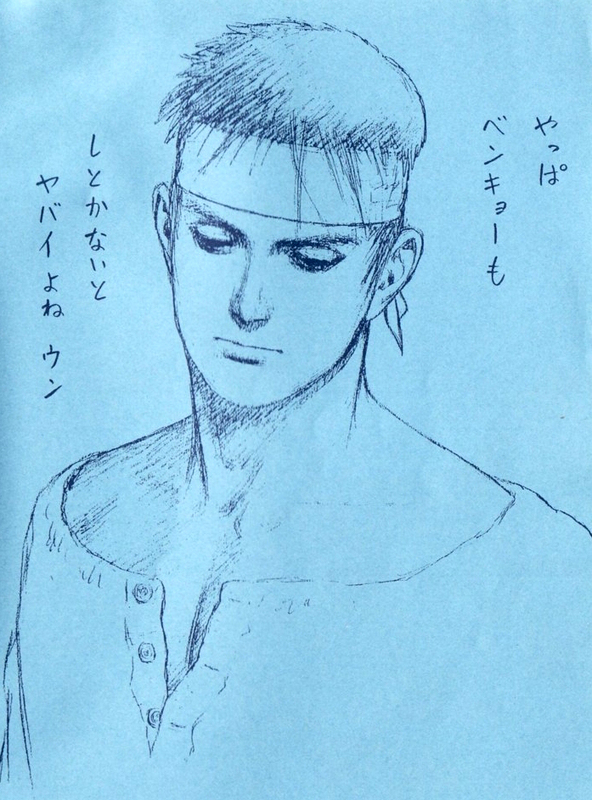 The Street Fighter series / Ryu fan art / Sketch by Kyrie. 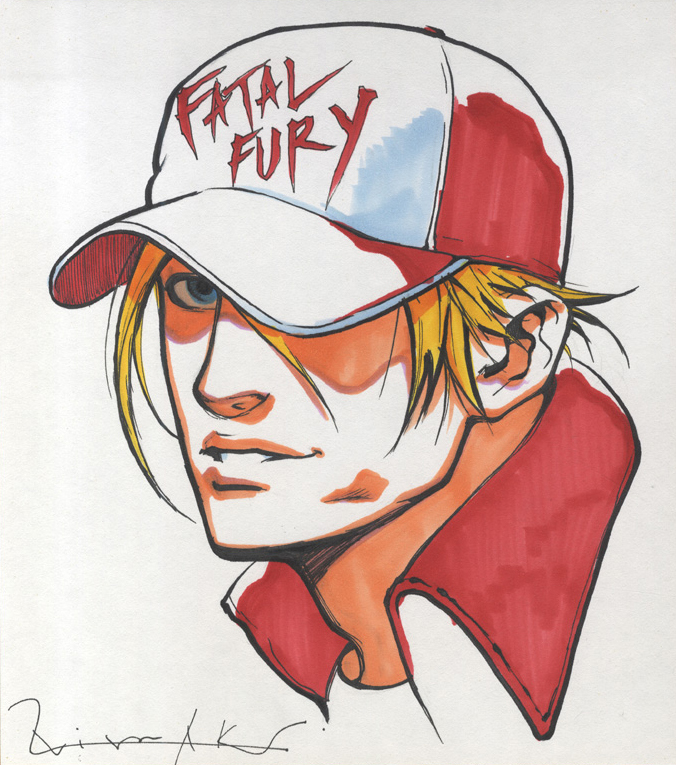 [Rare Item] Garou Densetsu ~ Fatal Fury series / Mandarake auction autograph panel / Terry Bogard portait sketch by Hiroaki. 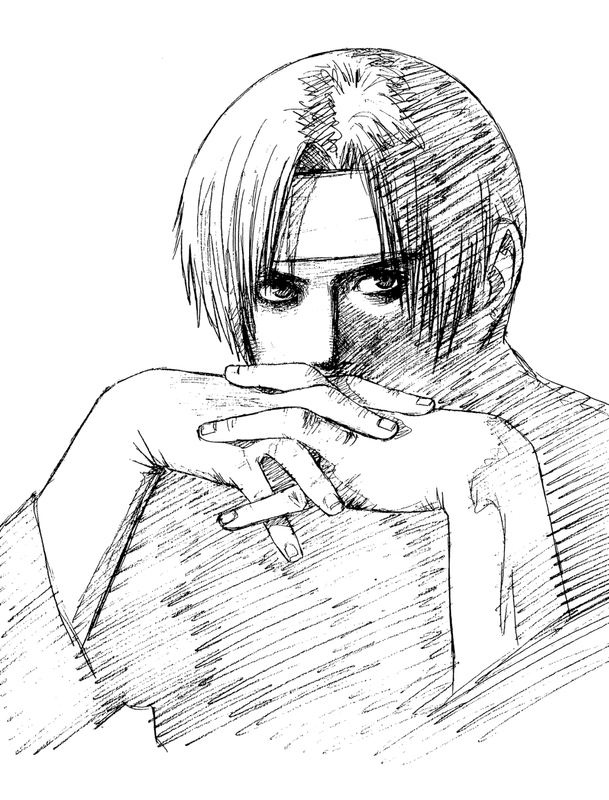 The King Of Fighters series / Year 98 SNK calendar rough sketch / Kyo Kusanagi portrait / Shinkiro / 1997. 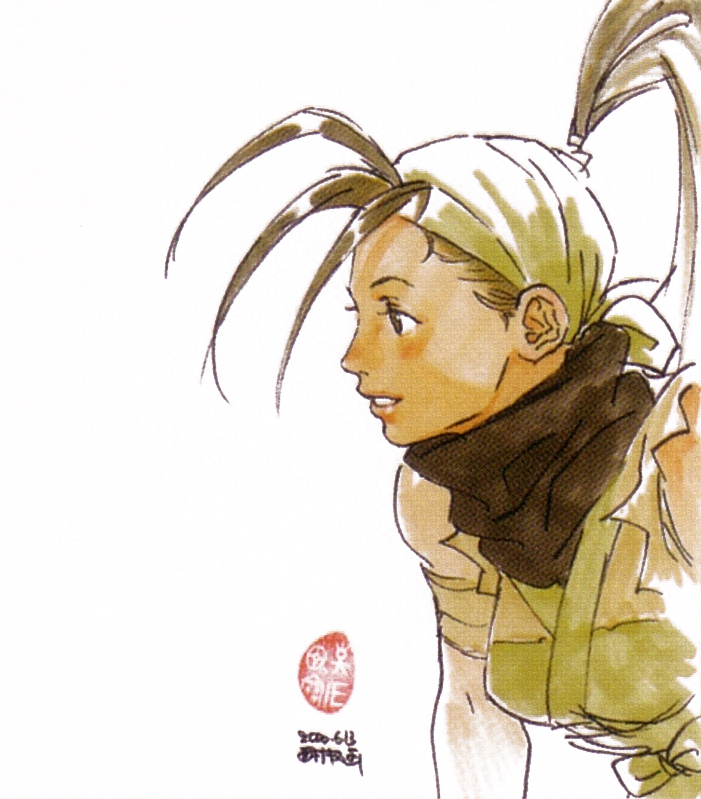 [Rare Item] The Street Fighter III Series / Autograph Panel / Ibuki Portrait illustration / Kinu Nishimura / 2000. 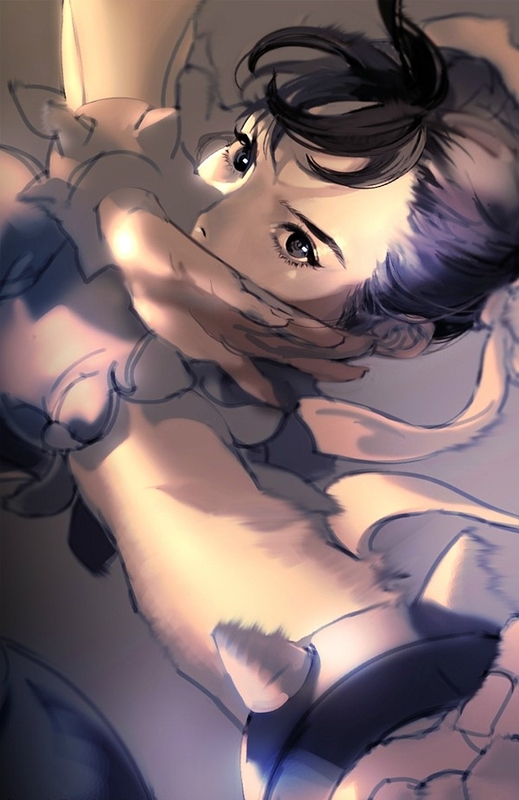 The Street Fighter series / Chun-Li Fan art / Sketch by Kyrie. 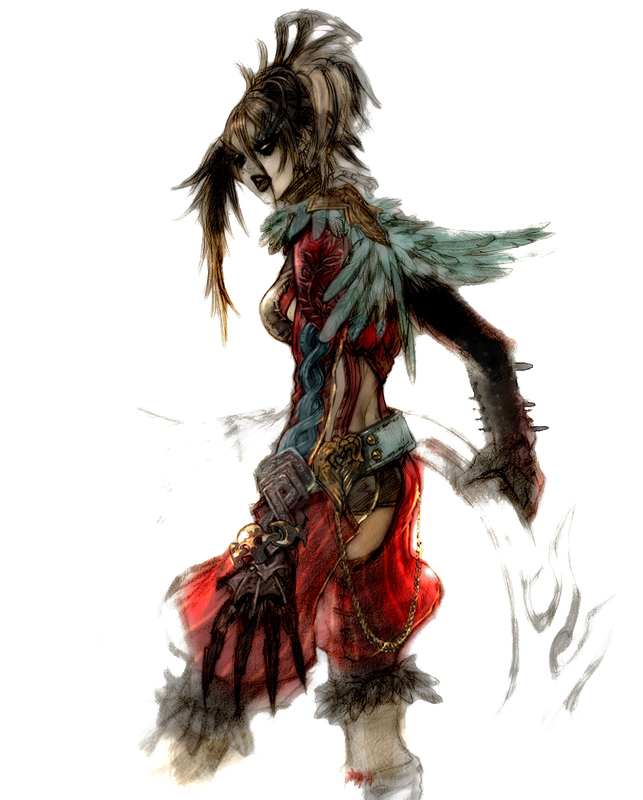 The Vampire series / Morrigan fan art / Sketch by Kilart. 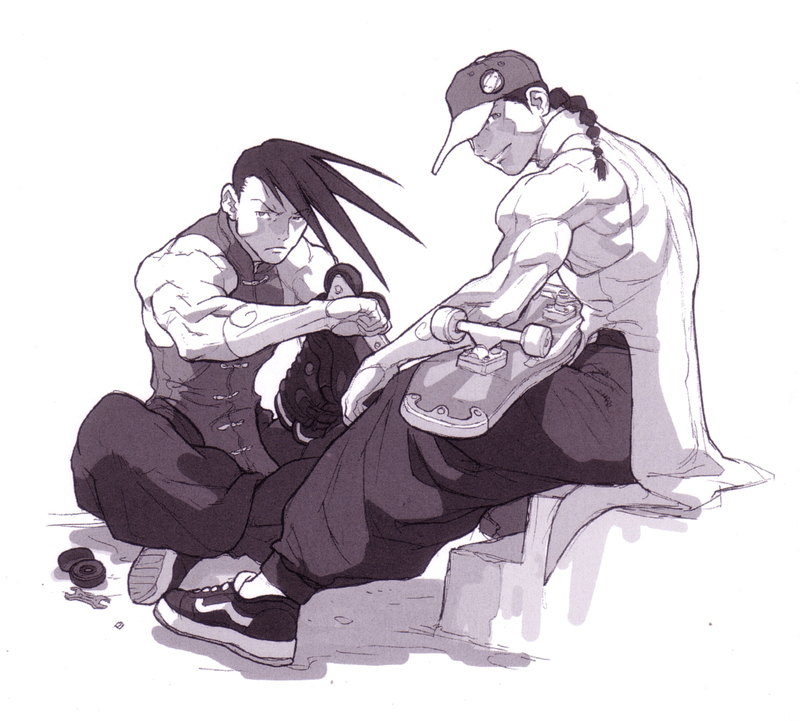 Street Fighter III / Jugemu (じゅげむ) magazine issue [cut for column] illustration / Yang X Yun / Kinu Nishimura / 1997. 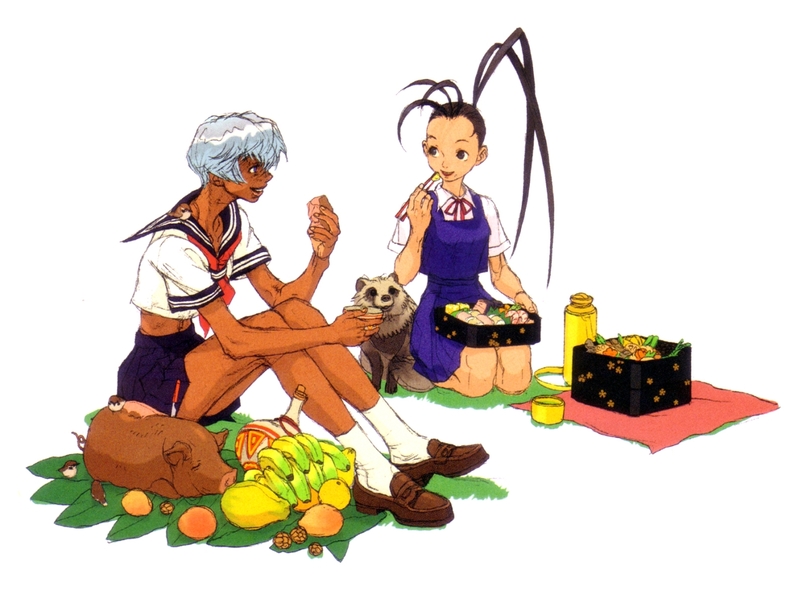 Street Fighter III - New Generation / Capcom fan club newsletter illustration / Elena X Ibuki+Don / Kinu Nishimura / 1997. [Rare Item] The King Of Fighters '98 / AES [Home ver.] 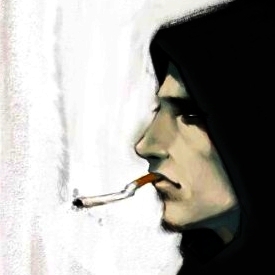 artbook sketch / Shingo Yabuki / Shinkiro / 1998.